Termites are, in fact, one of the most destructive pests in the world. Because of their fondness for organic material like wood and even dried crops, they devour buildings and food storage each year in almost every country with temperate-enough conditions. However, certain conditions are much better for termites than others. Hot and humid places are more likely to breed termites, while more moisture and wood around your home specifically can draw them in and help them set up shop. 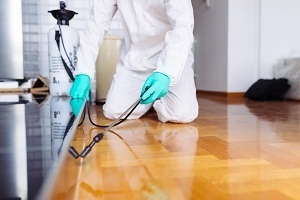 With the help of termite control companies in St. Augustine, you can find the conditions that are drawing termites to your property and devise a strategy to combat them. 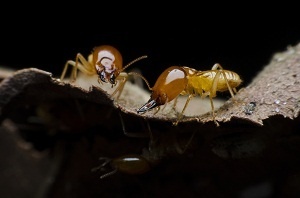 Hot, dark, and moist describe termites' favorite places in the world. Crawl spaces are a likely candidate for areas where termites would love to move in and start to multiply. If you don't have ventilation in these sorts of open areas or storage spaces, condensation will form on the walls and moisture will build up. In this situation, while our experts can provide you with St. Augustine termite treatment, you'll need to purchase ventilation gauges and fans to keep the termites from coming back. Wood is both nourishment and a building material for termites. If you have wood paneling on the outside of your home or support beams at or near your foundation made of wood, you're in for a world of trouble if termites move into your area. When you have wood in contact with the ground, termites will start eating through the base and then work their way into other parts of the house. It's best to build with concrete and metal around the bottom of your home and remove wood that's less than a few feet from the ground level itself. Leaky pipes can lead to pools of water in the recesses of your home. Besides the damage that water can cause when it gets into the cracks of concrete or your foundation, it also gives termites a reason to target your property. If you have leaky pipes, call your plumber to get them patched or replaced entirely. Make sure to rid your basement or other lower home areas of all moisture (also to keep you from needing to deal with mildew or mold!) and then get us over to give your place a thorough termite treatment near St. Augustine, FL. If your house checks out now, keep an eye out for these situations that will make termites want to move in with you.